Often soakwells have grates set in the lids. 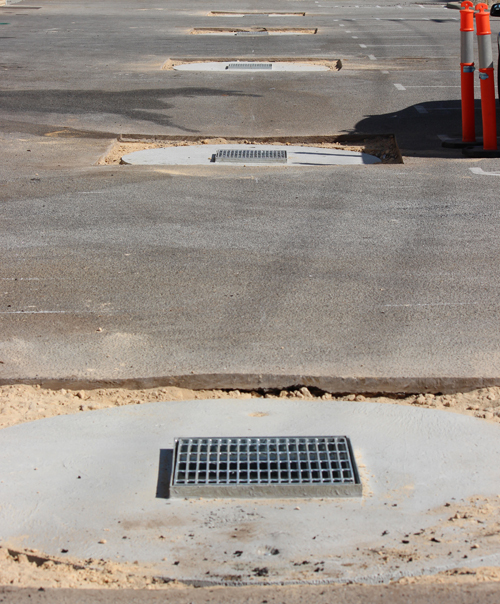 The frame of the grate is set into the soakwell cover when the concrete is poured preventing removal in the future. 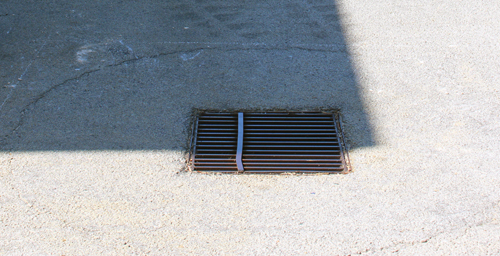 Something both residential and commercial property managers may encounter is the grates on older soakwells are often rusty and eventually require replacing. The only proper way to truly fix the problem is to remove the existing soakwell cover and grate and replace it with a new rust resistant one. This is because it is impossible to replace the frame and the rusting process inside the concrete will eventually and suddenly cause the cover to fail under load. Disposal of the old covers. On request we can also manufacture grates to sit in the existing frame, however this is not recommended (particulary for commercial sites). We have the equipment and experience to ensure that the repair process is as smooth as possible. We organise all aspects of the job including material supply, concrete cutting, disposal of spoil and the old covers and resurfacing. We specialise in working around our clients needs. All About Soakwells is based in Perth, Western Australia and strives to always provide the right advice to avoid having to conduct expensive repairs in the future. We have over 10 years experience installing and repairing soakwells. We recommend only using trafficable covers (150mm thick), even for places that only receive pedestrian traffic as the standard covers are only 75mm thick. We can cut and resurface both concrete and ashphalt. We specialise in working with property managers for residential and commercial buildings by ensuring clear communication between contractor, manager and tenant to minimise disruption. Copyright © 2019 Polson & Brown Pty Ltd. All Rights Reserved.